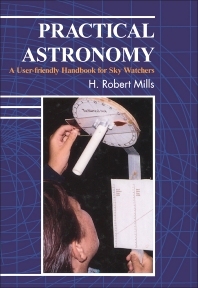 This practical manual provides essential material for the extensive world-wide community of non-professional astronomers. Every page of the book is alive with the infectious enthusiasm of the author whose expertise, knowledge and teaching experience provides easy access to the fascination and enjoyment of sky-watching. The celestial sphere; The sun and sundials; Star positions, star maps, planispheres and nomograms; Light and basic optics; Miscellaneous calculations; Appendices and useful information; Index.